Matt Mogk talks “What You Don’t Know Can Eat You” | We Zombie! 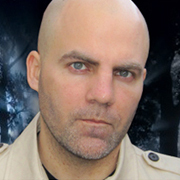 Chris Mackowski, of Scholars and Rogues posted a great interview today with Matt Mogk, the director of the Zombie Research Society. Mogk talks about the ZRS and a little of his background that led to the ZRS as we know it today. This entry was posted in Fresh, Interviews. Bookmark the permalink.